proMX achieves top rank with proRM on the industrial top lists for innovation and price in IT. For eleven years, a famous professional panel of more than 100 scientists, branch experts and IT journalists have evaluated thousands of IT enterprises and their innovative and middle class-suitable products. The “Initiative Mittelstand” grants each year at the CeBIT, the Innovation Award for information technology. In March 2013, proMX GmbH was distinguished with the certificate ”Best of 2013“ for innovation price-IT in 2013. The “better consulting software” convinced the experts panel judging for the initiative middle class and was classified within the favorite group. 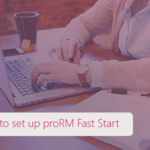 The success of proRM is fully understandable with its clearly structured surface and known service via its connection to the products of Microsoft. 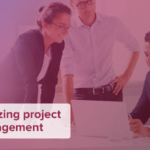 It is suitable for experienced users as well as for new beginners for the monitoring and control of project organization. “We are glad very much about the honoring of our “better consulting software” with the certificate”Best of 2013“ in the category branch solution for the middle class. With it it was confirmed to us that our software solution has a sustained use for service enterprise and consulting firm in Germany. Our customers can place therefore furthermore certainly on our products, in the consciousness to use innovative, reliable and stable software“, explains Peter Linke, CEO of proMX. More than 4.900 applications were submitted for 41 categories and in each category one was selected and distinguished. The panel’s decisions for middle class use and innovation were notable, as were all of the submitted products or solutions. The winners of the initiative middle class received a cup, certificate and winner’s logo. The certificate ”Best of 2013“ of the “Initiative Mittelstand” of the innovation price-IT in 2013 is a deserving reward for the performance of the proMX team. We are very pleased with our resource distribution and project management solution proRM 2013. It belongs with the best, most modern and most creative software suites in the German and international market. In the category “CRM,” the sales, resources and project management solution proRM 2013 belongs to the favorites and achieves one of the best places. The “Initiative Mittelstand” distinguishes creative solutions with innovation price IT, which are particularly useful for medium-sized business. This award serves for a long time in IT circles as a high-class brand. proRM persuaded the expert panel to choose it from the thousands of submitted applications and it came to the top of the list. The popular innovation price-IT of the “Initiative Mittelstand” has supported IT innovations which particularly are suitable for medium-sized business since 2004. Patrons of this event are IBM, the Bundes-CIO Cornelia Rogall-Grothe, the Palatine Minister for Economic Affairs Eveline Lemke, the economics Senator from Bremen Martin Günthner, Minister for Economic Affairs of Brandenburg Ralf Christoffers, Minister for Economic Affairs of Schleswig-Holstein Jost de Jager as well as Harry Glawe, the Minister for Economic Affairs of Mecklenburg-West Pomerania. DThe “Initiative Mittelstand” has proven to be an interest community for branch experts, scientists, IT experts and editors of the competent. It also comes with vigorous support for small business. It makes available a network for small business with the platform www.imittelstand.de, media and an active list. The independent panel of the innovation price-IT of “Initiative Mittelstand” consists of high-ranking experts – professors, professional journalists, scientists and branch representatives. They valued the innovation salary, the usefulness and the middle class qualification of the submitted products and solutions. The panel publishes its decision on the web page of “Initiative Mittelstand” as well as in the focus are for the middle class.